The living room is one area in your home where people spend a lot of time with other members of the household. This is where family members gather to relax over a TV show or board games. It has the largest functional space among all parts of the house. If you are getting tired of the look of your living room, now is the time to redesign it to give it a surprisingly new appearance. How can you redesign your living room without going beyond a $5,000 budget? Louie Santaguida shares his brilliant redecorating hacks. Get several large canvases painted with interior latex paint and hang them on your walls to brighten a previously blank space. The larger the canvas the better it is, especially if they fill the entire wall of your living room. Side tables are inexpensive, yet can add beauty to the furniture and fixtures featured in your living room. A side table made from modular storage units is great for lighting and displays. You can place some reading materials in the cubbies or miniature still life for a decorative look. Inject a vibrant and lively ambience to your living room by adding ornaments with pumped-up colors like green. Fresh or plastic plants placed on the console or at the corner can add a pop of vibrant effect in the living room. Propping up a large mirror can amplify your living room space and make it appear expanded. This is every interior designer’s trick to achieve an instant square footage. Get a mirror that is at least three-fourths as tall as the wall. This should not let you go beyond your budget. It is always exciting to play around with the placement of your furniture. Move them around and try new positions. If your furniture pieces are still in good shape and are functional, consider recoating them instead of purchasing new ones that will only crowd your living room space. A new paint job in your living room isn’t necessarily a costly project, but it can completely transform the look of your space. Switch up the old look by trying out brighter colors to liven up the atmosphere. In most renovation tips and ideas, painting is almost never missed because it lets you save money while completely changing the look and feel of your space. 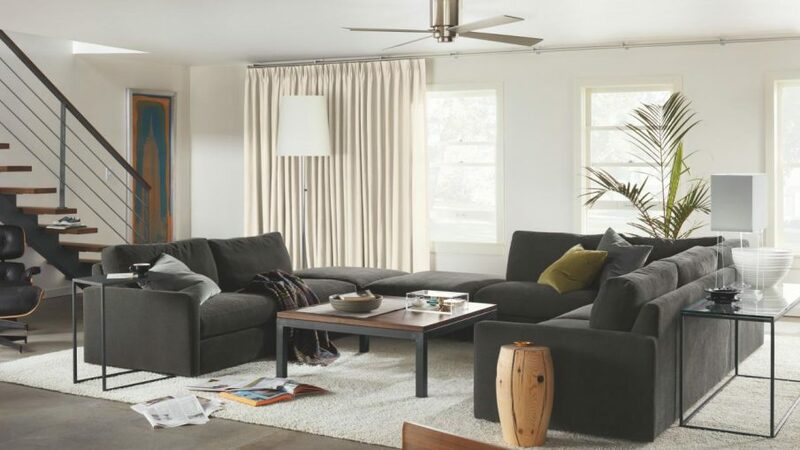 Giving your living room a makeover can be easy and cheap with these tips from Louie Santaguida, so dare to get a little creative when you’re ready to transform your space.